All created by Wealthy Affiliate owner. 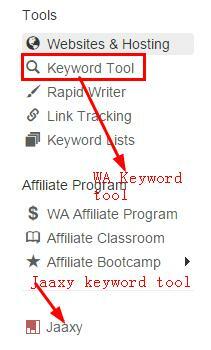 So if you are a Wealthy Affiliate member, you can access to these two keyword tools in your WA dashboard. Almost have the same results for keyword search. They all provide “brain storm” or “keyword dig” function to broad your scope of mind to find the right keywords. You can complete keyword searching works on a page and needn’t to be downloaded as a software. 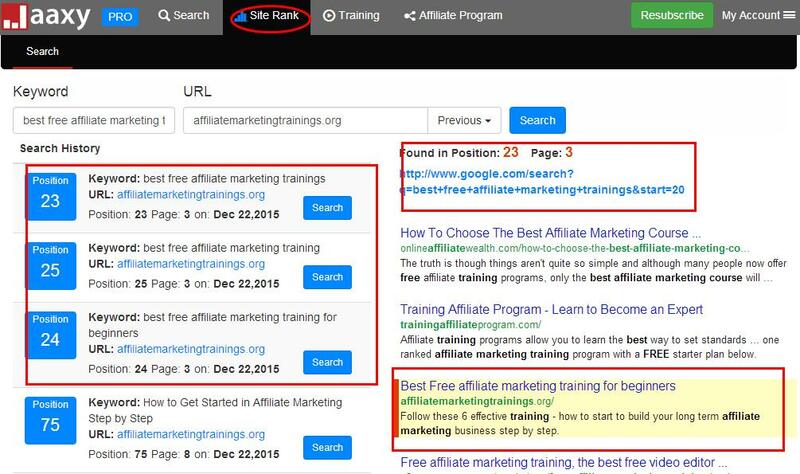 Wealthy Affiliate keyword tool is built in Wealth affiliate and free for premium members ( WA membership: ﹩47/month or ﹩359/year -save ﹩205 ). There are no limited searches. Jaaxy is an independent keyword tool and don’t belong to Wealthy Affiliate although you can access to from your WA member center. If you use Jaaxy, you need to pay seperately. The price is ﹩19/month. As a free Jaaxy membership, you are permitted to search 30 times in Jaaxy. after 30 searches, you need to pay member fee to access unlimited search and all its functions. 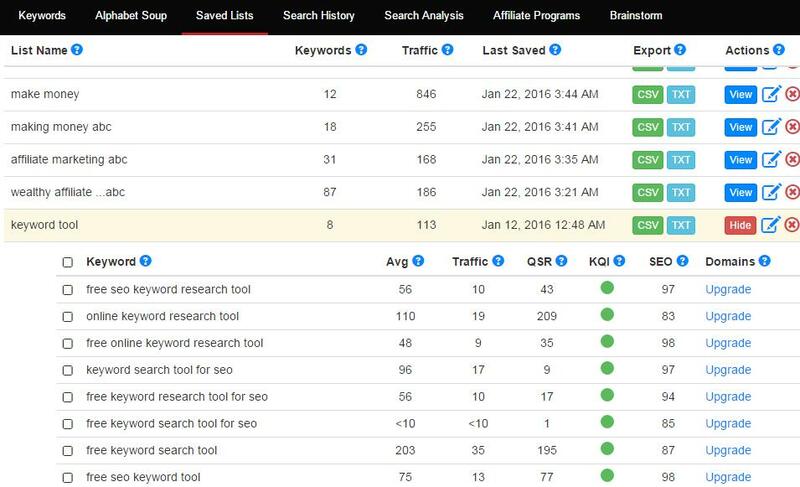 As a professional keyword tool, Jaaxy can provide more details and power function than Wealthy affiliate keyword tool. You can check your website rank or position on google, bing, yahoo for keywords with Jaaxy. Jaaxy is a google keyword rank checker as well. If you have joined other affiliate programs, e.g. Commission Junction (CJ), Linkshare, Clickbank…. You can search affiliate products for keyword in Jaaxy with one search. It’s very convenient and save you lots of works. When I joined WA and have been a premium yearly membership, I had access to these two keyword tools ( I bought paid Jaaxy membership for 3 months to understand it. ) Since I thought Jaaxy was more power than WA keyword tool. ( WA keyword tool didn’t provide QSR value then). 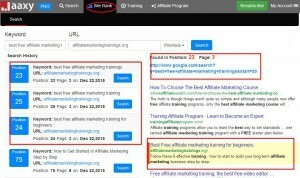 Through many contrast test, I found they almost got the same result and this year Wealthy Affiliate update its keyword tool system, now I only use WA keyword tool as my choice. ( budget considerations). 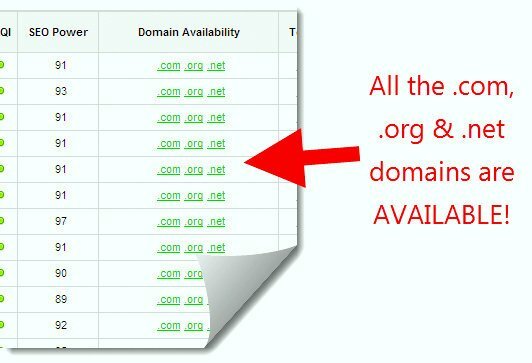 But If you just need an effective keyword tool or do mass keyword search works, Jaaxy is a good choice. You can pay monthly fee when thinking of using it ( only ﹩19/month). You can save the keywords what you find in Jaaxy and check them later even if you are non-paid membership.